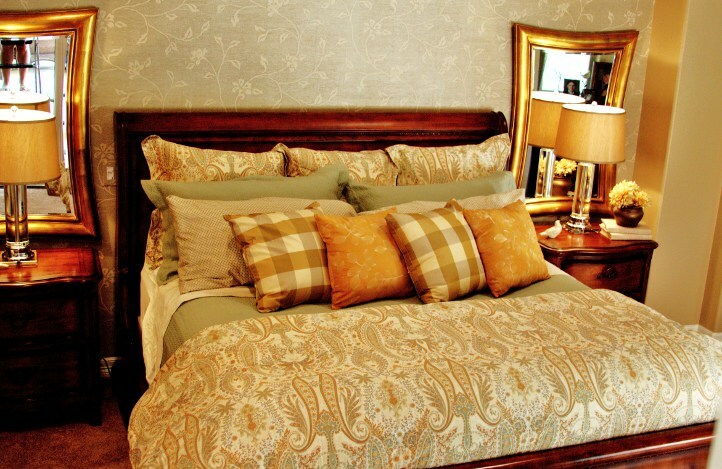 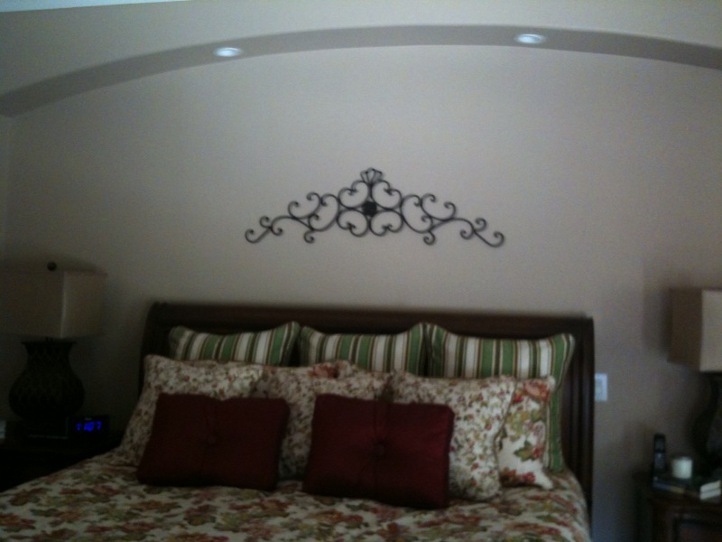 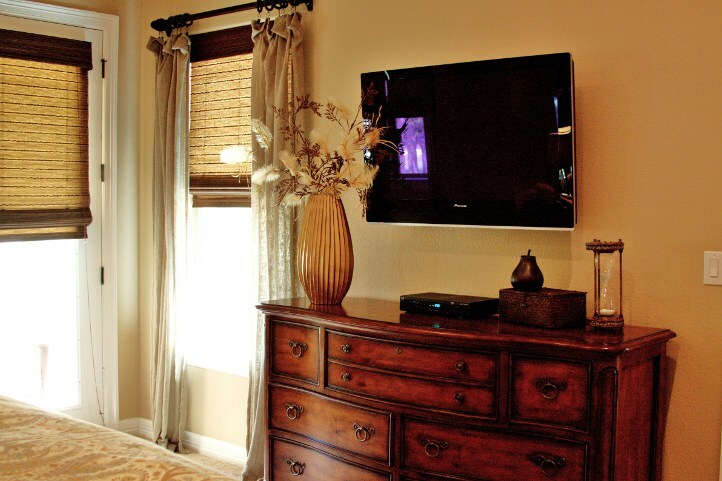 These faithful clients asked Adentro Designs to revamp their master bedroom. 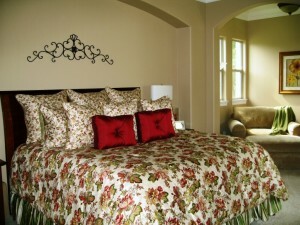 The real show-stopper in this room is the floral, metallic wallpaper that adorns the niche behind the bed. 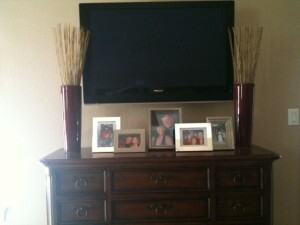 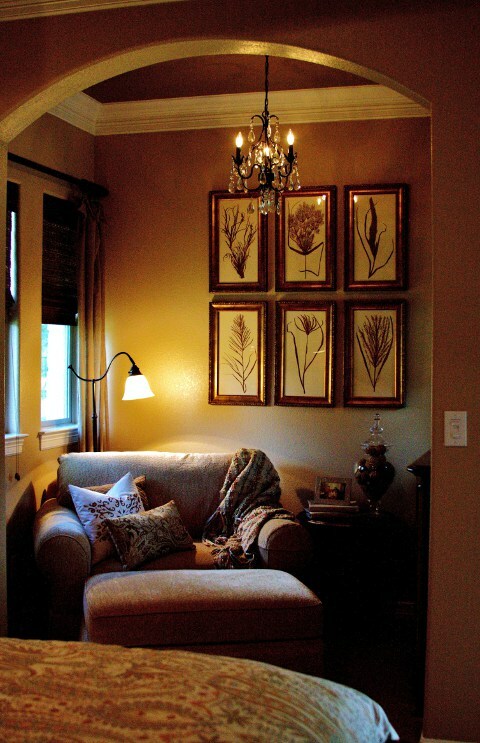 It adds a level of sophistication and richness to the room. 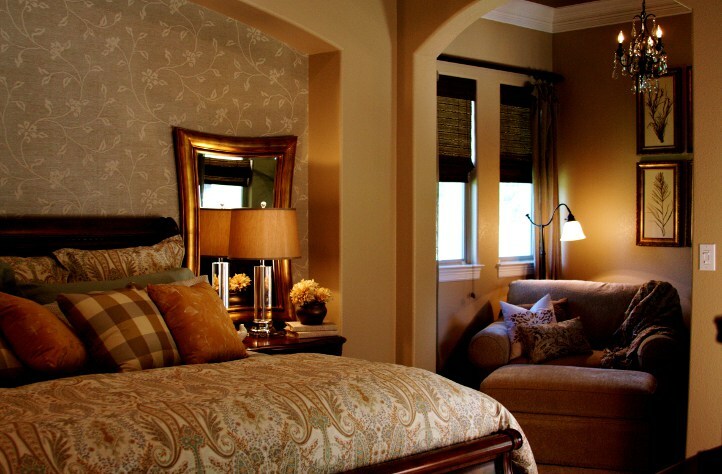 The soft color palette and traditional decor make this a master suite a place anyone would want to end their day.